A teacher can show you a path, but he cannot walk it for you. Only you can walk in your shoes. 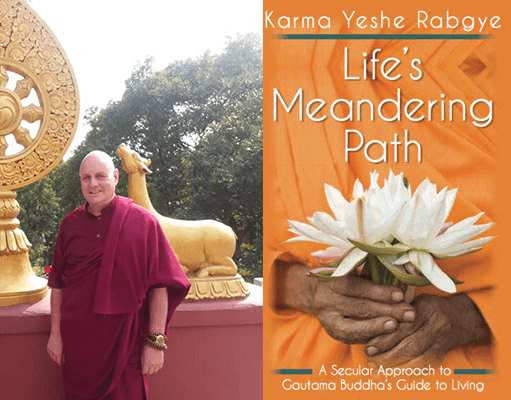 Karma Yeshe Rabgye is a Western Monk in the Kagyu tradition of Tibetan Buddhism. 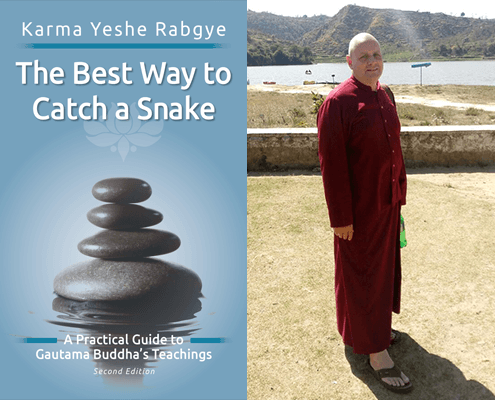 Originally from England, he now teaches Buddhism, mindfulness and meditation to people all over the world. I believe we are all looking for inner peace. The problem is we try to find it in the outside world. 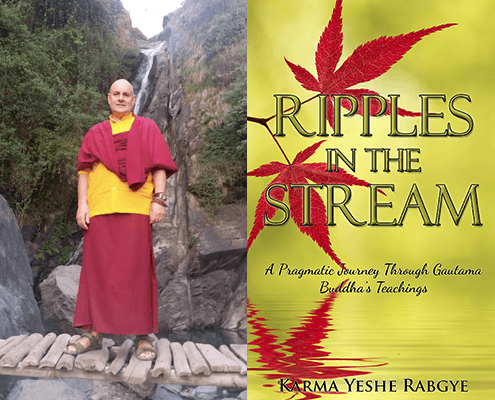 For me, obtaining peace of mind is a three pronged approach, namely meditation, mindful awareness and contemplation. Start your day with a simple breathing awareness practice. Sit somewhere quiet for 10 to 15 minutes and focus your awareness on the breath flowing in and out of your nose. This will ensure you start the day with a calm and peaceful mind. In order to stay calm and peaceful, keep bringing yourself back to the present moment. This can be achieved by checking in with your thoughts, feelings, emotions and body sensations. This is, for me, the most practical route to obtaining a peaceful mind.